"Sammy" Tonight! 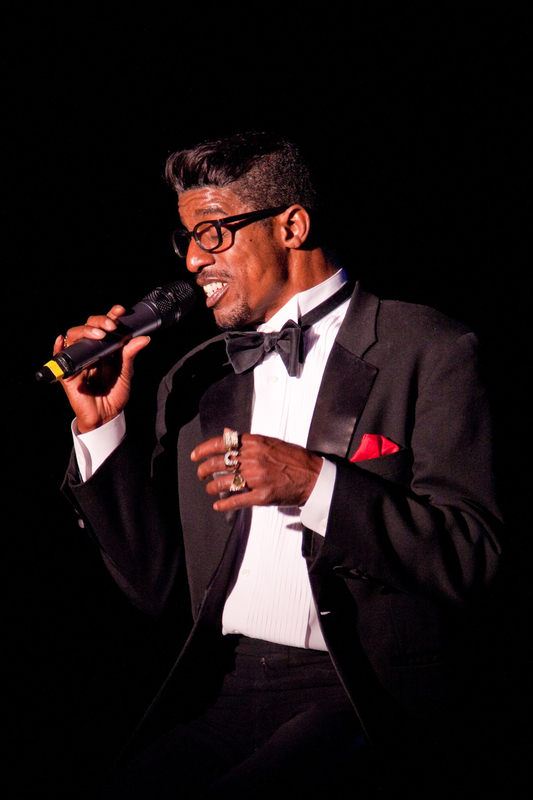 A Tribute to Sammy Davis Jr.
WBTT presents the multi-talented De’zhon Fields celebrating one of the greatest American superstars, Sammy Davis, Jr. 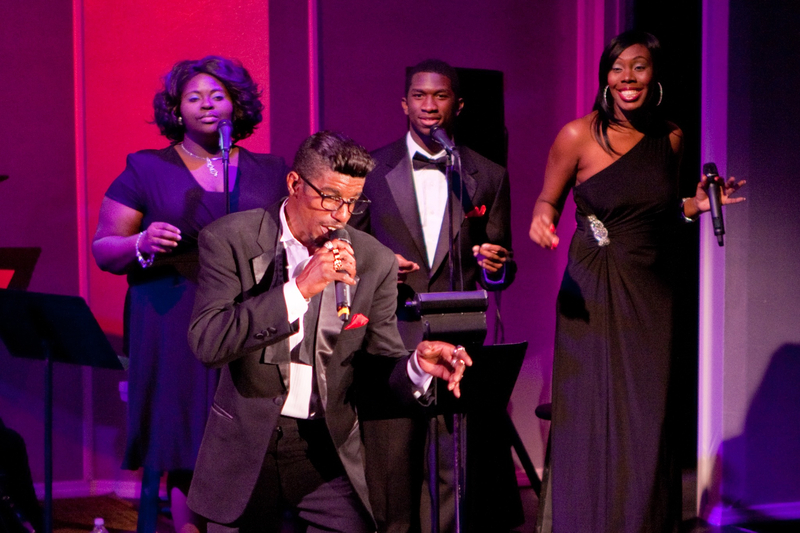 This musical revue features all the hits Sammy made famous, such as: “I’ve Gotta Be Me,” “Mr. Bojangles,” and “Candy Man.” For the past ten years, Mr. Fields has traveled worldwide showcasing his homage to the legendary icon known as “Mr. Entertainment.” From Vegas to Dublin, Fields has audiences clamoring for more. Many performers want to emulate Sammy Davis, Jr., who made his debut at the age of four in the 1920s and, for the next 60 years, danced, sang, and acted his way into people’s hearts around the globe. De’zhon Fields didn’t start out his musical career imitating Sammy, but his resemblance and style led him toward creating this tribute. Fields shares more in common with Sammy than similar facial features. He also shares the love and passion of entertainment. Get ready to be thoroughly entertained! "Fields is a dead-ringer for Sammy Davis, and when he hits those high notes in 'What Kind of Fool Am I', you'd swear the famous song and dance man was back." "De'zhon Fields is a stringy piece of electricity. His 'That Old Black Magic' embodies Davis' never-quitting drive and schmaltziness. In 'Mr. Bojangles' spotlighting Davis' prowess, Fields' legs and hips churn and twist with a wild life of their own." 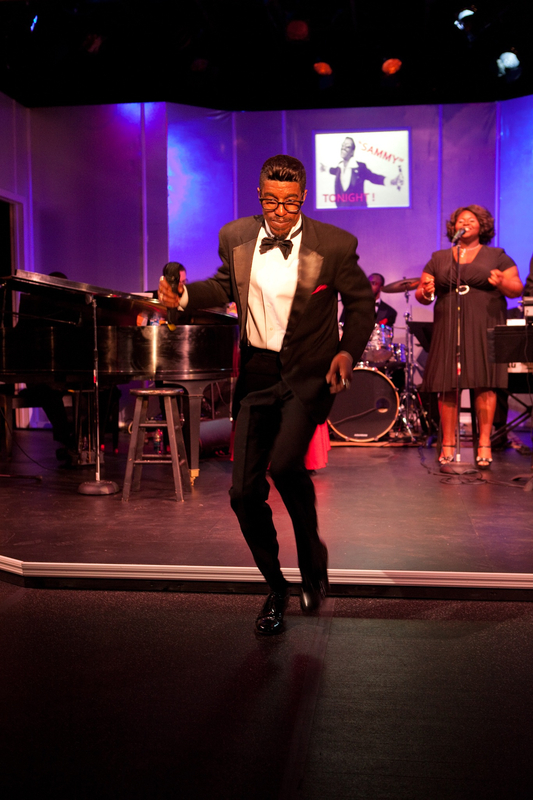 De'zhon Fields as Sammy Davis Jr.
Bio True Story – Sammy Davis Jr. The Kennedy Center's Biography of Sammy Davis Jr.
NY Times Obituary and Articles of Sammy Davis Jr. Interesting facts about Sammy Davis, Jr.
Wrote three books:Yes I Can (1965) and Life In A Suitcase (1980) and Why Me, published the year before his death.